Each lens pair is 65USD + 5 USD shipping worldwide. First pair is dedicated for red Mitsubishi/Oclaro diodes, 1W 520nm NDG7475 and 3,5W 445nm NDB7A75 diodes. Second pair is dedicated for 445nm popular diodes 1 - 2,5W and also works well with NDG7475 1W 520nm. Lenses dimensions are 12mm x 12mm and 5-7 mm thick. 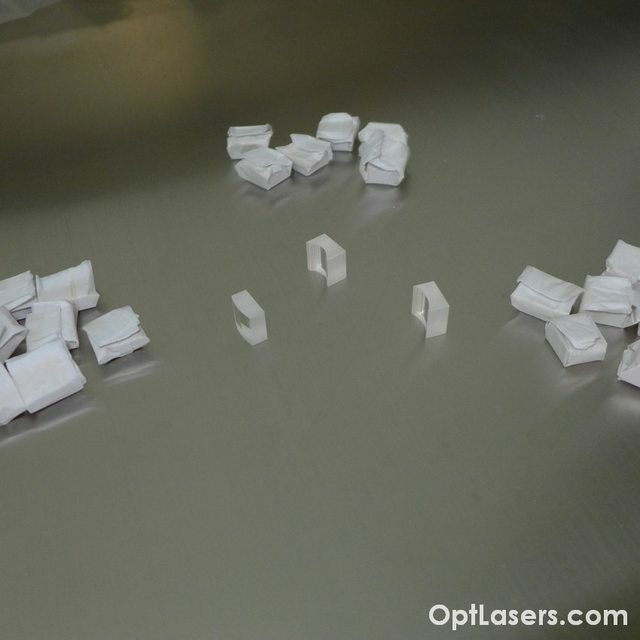 Lenses are AR coated for whole visible spectrum 400 - 700nm. Extraordinary visible light transmittance >99,7% proved with AR test shown below. >99,3% light transmittance for whole pair! 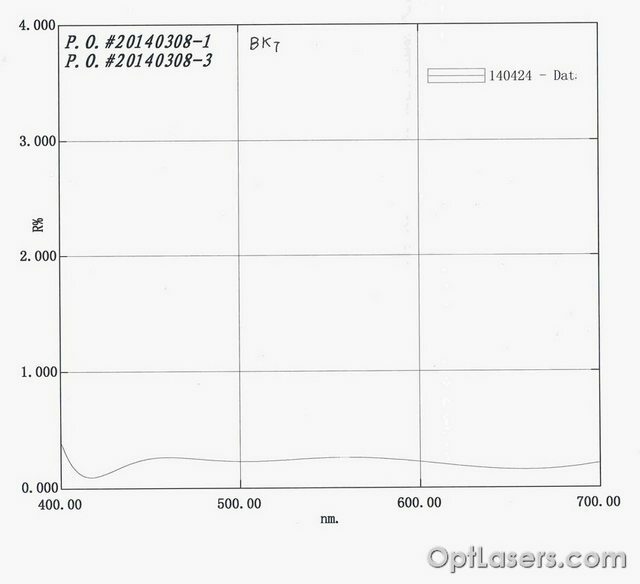 Below there are photos with the results of measurements for several laser diodes. Every photo was made at 10 meter distance between the wall and lenses. I have only "after lens" shot, without lens the beam spot is almost the same as the Oclaro's one. At what distance were the tests performed? Also do you sell some sort of mount? How hard is it to align? It is harder than with anamorphic prisms, but also the output power is way better. For the FIRST pair working with 3,5W 445nm mounted in my 4W laser module. The distance between the lenses is 19,5mm and the outside dimension for both lenses is 33mm. 1. U need to put one lens (concave) and see stright line, not bend line. This is the easiest. Also beam should be placed in the center of the lens, but this can be set approximately using eye. I'm doing it while the 10 minutes glue is drying. 2. Now you have really wide line on the wall. You need to take second lens and set it in 2 axis; turn and the distance between. 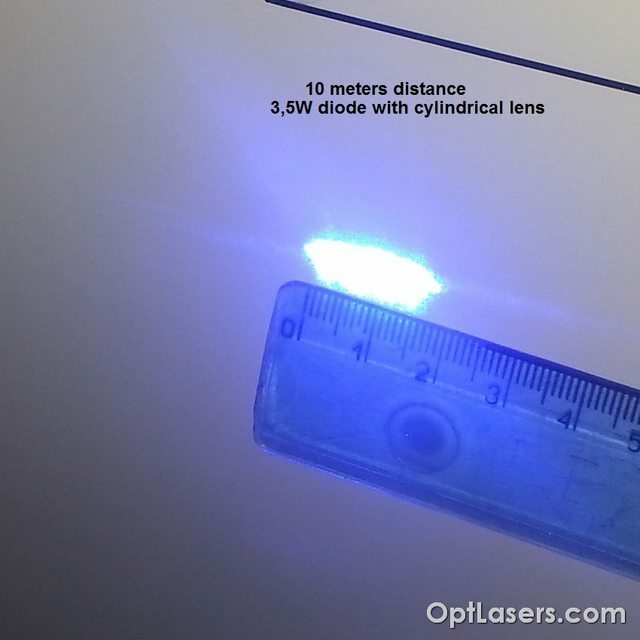 Distance between lenses is responsible for beam spot size. Turn is responsible for S effect. I attach photo. When I was setting first pair I used just alluminium flat. But I found that it is easier when you have sry square,valley for the lens or just something glued on the plate to have stright line. Ooh, how I do want. On ebay they are selling for 95 USD I will think about price drop but a bit later. They cost me a lot because of this AR coating. I suggest offering this discount on PhotonLexicon- a lot of them are "projector guys" if you will, and the market for these lenses is much more prevalent over there. Well, when I receive my sample set....I will mount to the V7 versioin of the EZ mount. Will show a comparison between the A-prism's and C-Lenses. See attached pic. I believe this design will work. Then we will go from there. Still looking for a Ally tube cover....not that this is needed for the optics to work, but a cover, clear acrylic or Aluminum will protect and help keep the optics clean. Please could you detail what lens are using as a collimator also Cylindricals EFLs? By the spots sizes, I suppose its G2 or 3-elements... isn't it? Hi, I was using three element lens. This is why I show pictures before and after. Cylindrical lens will always work the same no matter what lenses you use. Even if you use asphericsl 2mm EFL. It will just change the divergence x times and also make the beam wider at the output x times. This is why you do not need EFL of the cylindrical lens. I know the concept of this is simple but would love to see a small tutorial with pics fitting them in the housing. Please avoid digging up old threads. This thread was last posted to nearly 3 years ago. Further, there's plenty of threads about correcting the NUBM44 with cylindrical lens pairs. Read through them to develop an understanding.